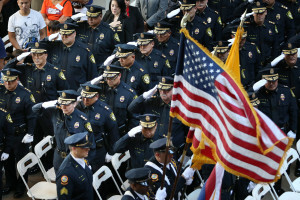 After a procession from police headquarters to the state Capitol, a ceremony remembered those who died in the line of duty. 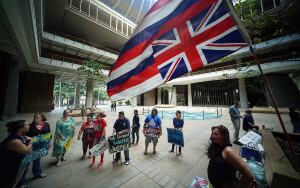 With this year's legislative session set to end May 5, Senate and House lawmakers raced to triage bills they still hope to pass. A week of big events: Caldwell's re-election launch, state money decisions, dramatic turns in the water rights battle, and meetings on ethics and rail. 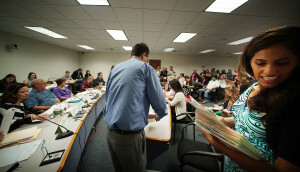 As the final crossover deadline expires, hundreds of bills move ahead in the Hawaii Legislature, with many now headed to House-Senate conference committee negotiations. It's Hawaii Democrats' turn at presidential politics with the party's caucuses coming up Saturday. Meanwhile, West Oahu celebrates HPD's newest facility. Kirk Caldwell chats with shopkeepers, residents and a homeless veteran after complaints about unruly behavior and vandalism led to increased patrols. 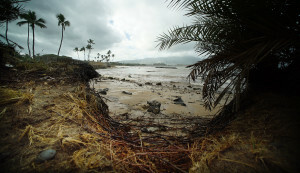 The high surf closed several beach parks, as well as the Kamehameha Highway between Haleiwa and Turtle Bay. Protesters spiced up Opening Day. Gov. 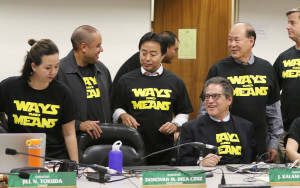 Ige called for "long overdue" action on chronic problems. More than 2,000 bills were introduced. 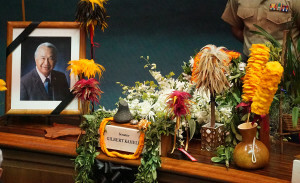 And lawmakers mourned a fallen colleague. With presidential vacations as bookends, the year in the islands featured David Ige's shakedown cruise, the still-unfolding TMT-Mauna Kea controversy and new attempts to solve the old problem of homelessness. 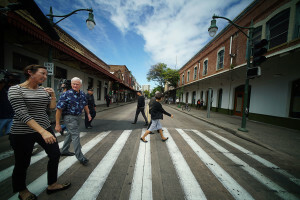 Oahu's year-end rituals: Malls buzzed, the governor budgeted and Obama chipped in from 40 feet. 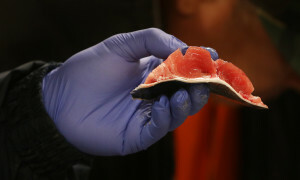 Six days a week, the action begins at 1 a.m. in Honolulu Harbor with the unloading of fish that are weighed, tagged and placed on ice awaiting the 5:30 a.m. opening bell for buyers.